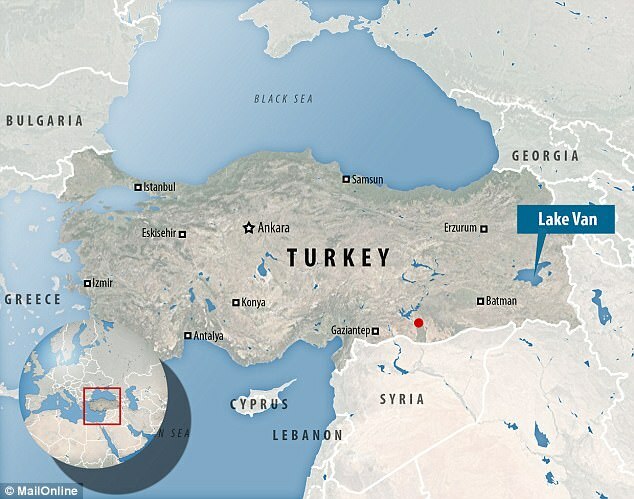 The 3,000-year-old remains of an ancient fortification have been discovered at the bottom of Turkey's largest lake. 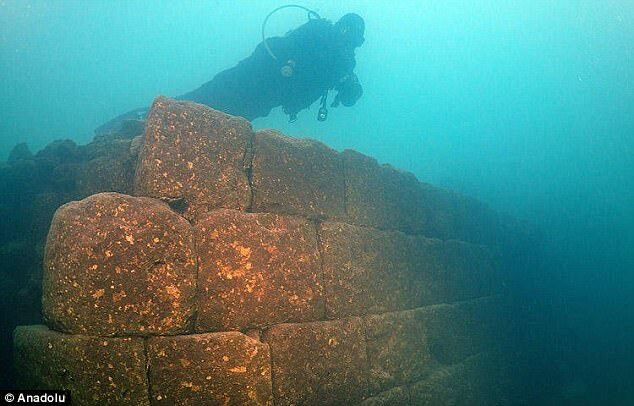 Divers exploring Lake Van discovered the incredibly well preserved wall of a castle, thought to have been built by the Urartu civilisation. Experts had been studying the body of water for a decade before it revealed the fortress lost deep below its surface. 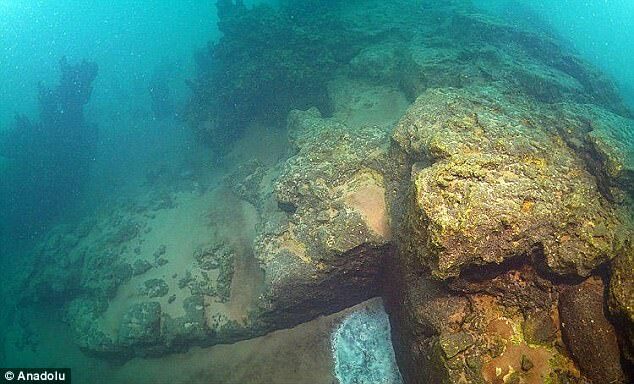 The discovery was made by a team of researchers, including Tahsin Ceylan, an underwater photographer and videographer, diver Cumali Birol, and Mustafa Akkuş, an academic from Van Yüzüncü Yıl University. Legends among the area's population spoke of ancient ruins hidden in the water, and the Van team decided to investigate. Over the course of ten years, they captured images of pearl mullets, microbialites, corals and even a sunken Russian ship, but their prize remained elusive. There search has now paid off, uncovering castle stonework that has been protected from the ravages of time by the lake's highly alkaline waters. It is thought the stone structure was built by the Urartians, as the rocks used were favoured by the civilisation. The castle, as well as a number of villages and settlements in the area, were built at a time when water levels were much lower than they are today. Speaking to Hurriyet Daily News, Mr Ceylan said: 'Many civilisations and people had settled around Lake Van. 'They named the lake the "upper sea" and believed it hid many mysterious things. 'With this belief in mind, we are working to reveal the lake's secrets. The Kingdom of Urartu was ancient country in the mountainous region southeast of the Black Sea and southwest of the Caspian Sea. Today the region is divided among Armenia, eastern Turkey and northwestern Iran. Mentioned in Assyrian sources from the early 13th century BC, Urartu enjoyed considerable political power in the Middle East in the 9th and 8th centuries BC. The Urartians were succeeded in the area in the 6th century BC by the Armenians. Urartu is an Assyrian name and the people called Urartians called their country Biainili. 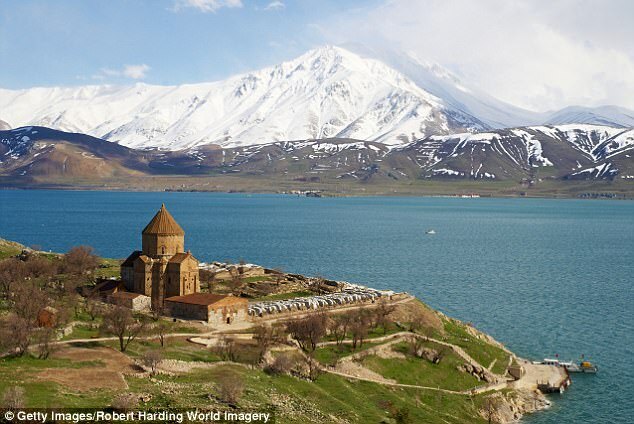 Their capital Tushpa, was located at what is now known as Lake Van. Most remains of Urartian settlements are found between four lakes: Çildir and Van in Turkey, Urmia in Iran, and Sevan in Armenia, with a sparser extension westward to the Euphrates River.